Hi Dr Sumita, I would like to speak with you briefly to see if you're a good fit to coach me. Please contact me at your earliest convenience. Hi KISHORE , I would like to speak with you briefly to see if you're a good fit to coach me. Please contact me at your earliest convenience. Hi Dr Saloni , I would like to speak with you briefly to see if you're a good fit to coach me. Please contact me at your earliest convenience. Hi Sharad , I would like to speak with you briefly to see if you're a good fit to coach me. Please contact me at your earliest convenience. Hi DR ASHWANI KUMAR, I would like to speak with you briefly to see if you're a good fit to coach me. Please contact me at your earliest convenience. Hi Mamta, I would like to speak with you briefly to see if you're a good fit to coach me. Please contact me at your earliest convenience. Hi Dr Abhishek, I would like to speak with you briefly to see if you're a good fit to coach me. Please contact me at your earliest convenience. Hi Arun, I would like to speak with you briefly to see if you're a good fit to coach me. Please contact me at your earliest convenience. Hi Sheetal , I would like to speak with you briefly to see if you're a good fit to coach me. Please contact me at your earliest convenience. Hi Nawneet, I would like to speak with you briefly to see if you're a good fit to coach me. Please contact me at your earliest convenience. Hi Sujit, I would like to speak with you briefly to see if you're a good fit to coach me. Please contact me at your earliest convenience. Hi shambhu, I would like to speak with you briefly to see if you're a good fit to coach me. Please contact me at your earliest convenience.  Hi Ramandeep Singh, I would like to speak with you briefly to see if you're a good fit to coach me. Please contact me at your earliest convenience. Hi naureen, I would like to speak with you briefly to see if you're a good fit to coach me. Please contact me at your earliest convenience. Are you a New Delhi Life Coach?